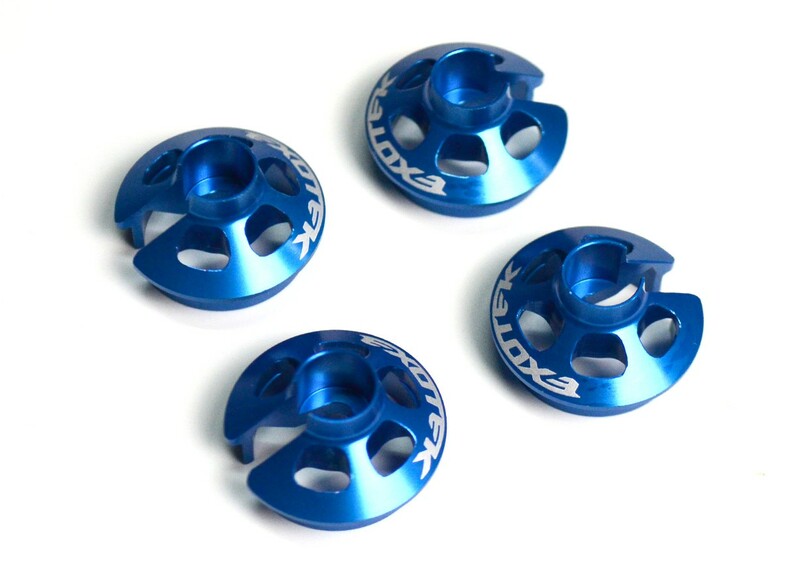 Blue Shock Shaft Guards RPM Shock Shaft Guards are a simple design, replacing your stock shock spring cup with one that has a thin but tough shield rising up to the base of the shock body, completely blocking debris from striking the shock shaft. The back and sides are open, which prevents debris from building inside the guard Black Shock Shaft Guards as well. 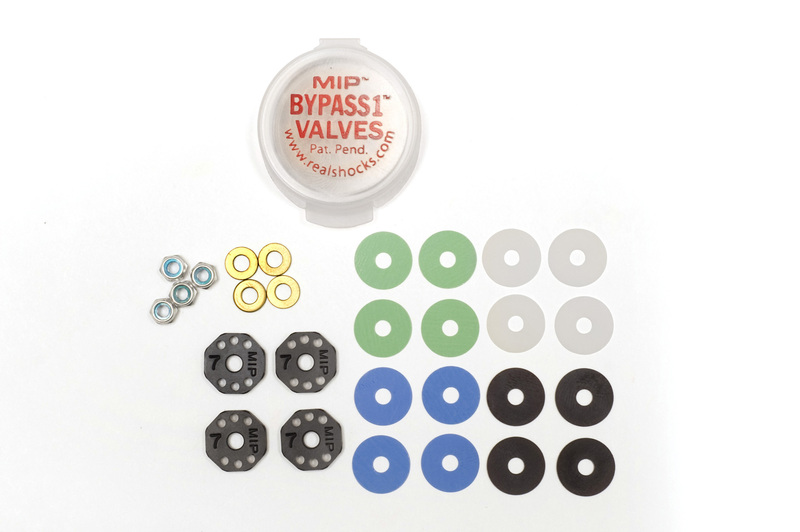 The kit comes with replacement oversized shock rod ends, improving durability and consistency on the shock pivot ball. 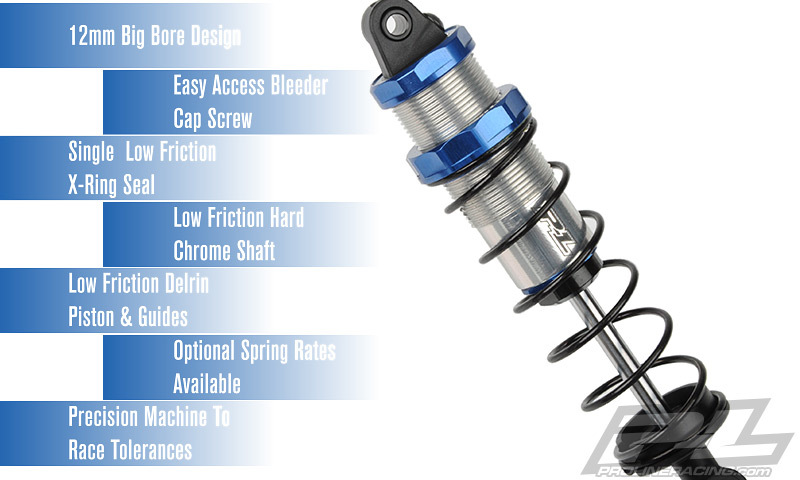 Additionally, we redesigned the top of the rod end so it is square. 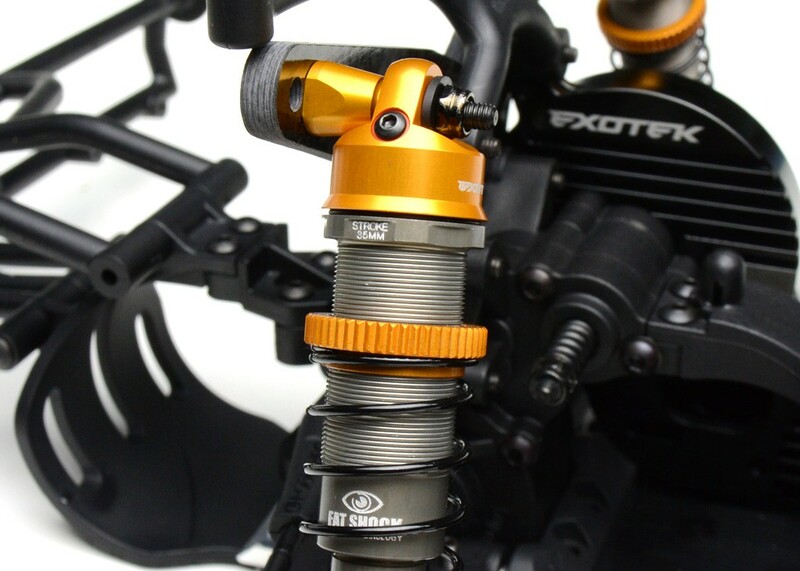 That square end keys the shock shaft guard for directional control. The front shield of the guard covers over 100 degrees of frontal exposure! 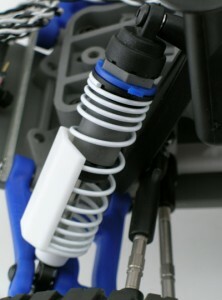 RPM Shock Shaft Guards Dyeable White Shock Shaft Guards are zero friction protection devices, meaning the guard never touches the working elements of the shock.